491. Capstan. 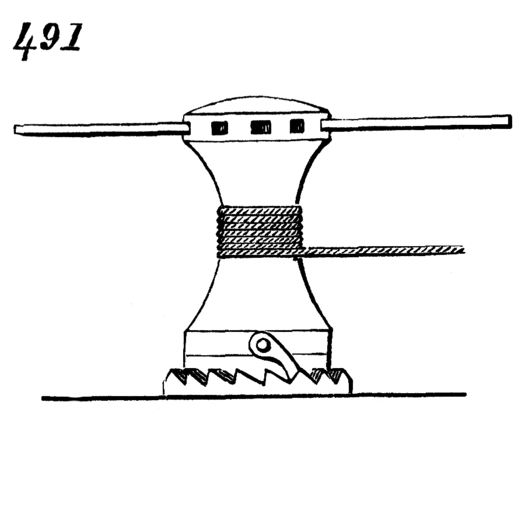 The cable or rope wound on the barrel of the capstan is hauled in by turning the capstan on its axis by means of hand-spikes or bars inserted into holes in the head. The capstan is prevented from turning back by a pawl attached to its lower part and working in a circular ratchet on the base.